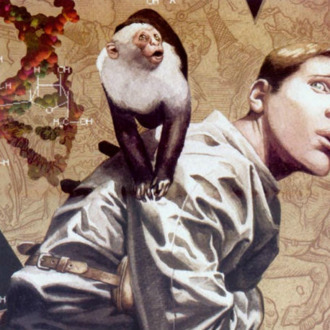 The film adaptation of Brian K. Vaughan’s popular graphic novel Y: The Last Man has been in development for a decade, and four months after Vulture learned that it had become a priority at New Line, we now hear that the project finally has a director. It’s Dan Trachtenberg, a first-time feature director who made the short “No Escape,” a popular fan film of the video game, Portal. Y follows the adventures of Yorick Brown, a young escape artist who discovers that he, along with his monkey, Ampersand, may be the only males left living after a plague knocks off almost everyone with a Y chromosome. In nabbing this project on the basis of a fan film, it seems that Trachtenberg beat out the director of an actual Y: The Last Man fan film made by Captain America visual effects supervisor, Christian Cardona. It’s a fan-film-tastic fracas!